Mercedes Benz is a car company famous for building luxury sedans and town cars. It isn’t particularly well known for building SUVs. Despite this, when Mercedes Benz does build a SUV, it doesn’t skimp on any of the luxury that is common in its more traditional vehicles. The Mercedes Benz G Wagon G550 is a perfect example of this. With room for five and exceptional cargo space, this vehicle is an ideal Mercedes Benz for transporting a modest sized family. And, every parent will be pleased to know that it is also filled with family friendly safety features like blind spot assistance and a rear parking camera. Combine all of that with built-in navigation and power adjustable seats and you have a vehicle that is comfortable, safe, and perfect for week long family vacations. 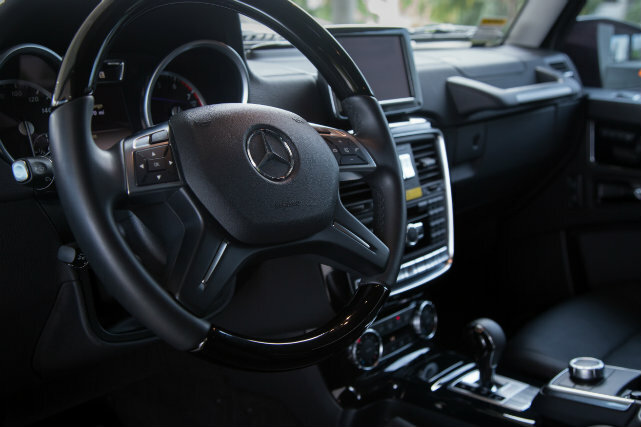 If you are renting the Mercedes Benz G Wagon G550 for your next Atlanta trip, you are almost certainly renting it for its convenience value. Add to that convenience by taking advantage of the delivery service offered by Prestige Atlanta. With this service, your Mercedes Benz G Wagon G550 will be waiting for you as soon as you leave the terminal. This service lets you save time and hassle when picking up your car rental. By saving time, you can assure you won’t be late arriving to watch the Falcons at the Georgia Dome.